Woo Hoo! 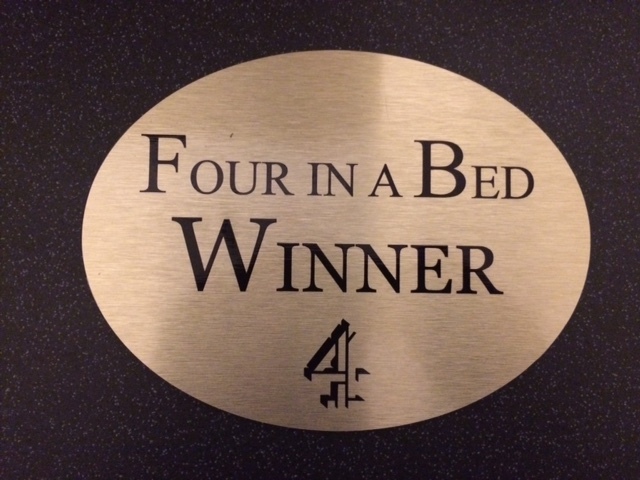 The Guesthouse East wins channel 4s Four in a bed competition after a tense finale. Thank you all for the lovely comments, we are so proud to have won, we love Eastbourne and living here. The show was hard work but great fun and we were very proud of our stunning grade 11 listed Guesthouse, which looked great in the Eastbourne sunshine along with the fabulous views of Beachy Head and the surrounding countryside. A very special thank you to Greg and Stefan at the fantastic Belgian Café for putting on a super dinner for us all. We always look forward to seeing old and new guests alike.